Company Name: BRC Engineering Ltd.
A family company, Brian’s two sons Carter and Riley now run the daily operations of BRC Engineering and provide both Brian and BRC with critical support. They manage 25 personnel, including professional engineers, design technologists, and journeyman machinists dedicated to providing world-class solutions for a variety of industries. 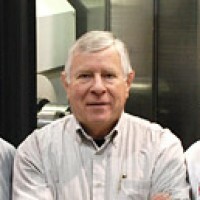 In regards to the company’s approach, Brian states “we are engineers first and a manufacturing company second.” Brian continues to work hands-on in the design and engineering of oil and gas, mining and motor sports components and his expertise provides solutions for the problems prevalent in each of these industries. As a boy, Brian was able to assemble a bicycle by himself by the age of 8, a clear foreshadowing of his future. Taking things a step further, he built his first go-kart at the age of 14. Later, he received his Mechanical Engineering degree from the University of Calgary, which officially propelled him into the industry. Before Founding BRC Engineering, Brian served as the President of Stratagrout Drilling Ltd. for nearly 9 years. Brian is thrilled his sons have developed his love of engineering and technology but even more exciting is their shared passion for motor sports. BRC Engineering also features BRC Motorsports Racing, which currently sponsors Brian’s youngest son in national sports racing. Brian credits his success to simply using a logical view to find solutions and the willingness to never be afraid of taking a risk. He resides in Calgary, Canada with his family, and hopes to connect with like-minded business professionals on a global level.